This tool is fine for a quick glance at the differences, but what if you want to see what exactly has changed between the two files, line by line? To see such information, you need to install an external diff viewer application. There are quite a few of such applications available on the web, and the basic way of using them is the same: you need to specify the two files to compare, and the diff viewer would display them side by side and show the differences in some way. 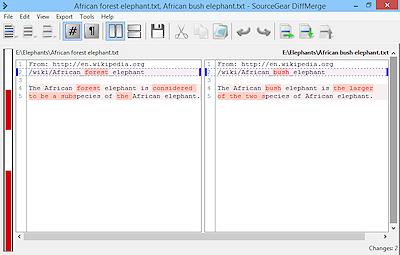 One of such tools is DiffMerge published by SourceGear, LLC. It's a free download, no payment is required to use this tool (at least that was the case at the time of this writing.) 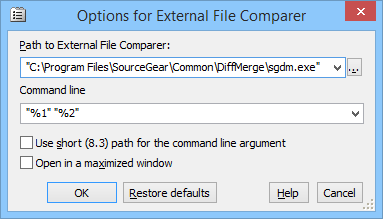 To download DiffMerge, first determine whether your Windows version is 32- or 64-bit. Then, go to the DiffMerge download page and select the appropriate version, 32- or 64-bit, to match your version of Windows. Download and save the file to your hard drive. Finally, run the setup file to install DiffMerge on your computer. 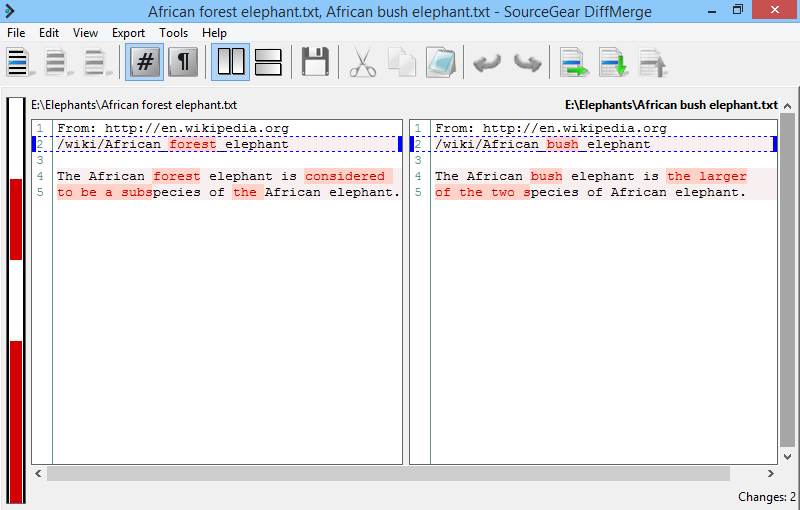 The differences between two files displayed by DiffMerge (click to enlarge). 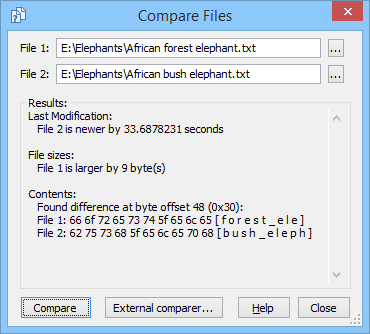 One final note: such file comparison only works with the plain text files, such as the files created with Windows Notepad, or with the Quick Editor of AB Commander. If you want to compare, say, two Microsoft Word files, you should use the built-in revision history viewer that Microsoft Word provides and that's specifically designed for the Word files.